Use lots of directional signs; say 10 or 12 or more. And get them out a day before, showing the date and time of the coming open house. Remember: you’re not just directing people to your open house, you’re establishing a powerful visual presence in the neighborhood that will help you get another listing and another listing and another listing. Get your open house information into the MLS in advance. If the event is this weekend, get it in by Tuesday so that the outgoing feed can get it on the various real estate portals in time. Impromptu or seller held open houses can be entered manually into Zillow as late as the day before. Have your seller claim their home on Zillow. It is an easy process that starts with finding their listing on the site and clicking on the Owner’s View. Have them add a paragraph to your listing about ‘What I Love About This House.’ Also, once claimed, they can add their own open houses to the listing. 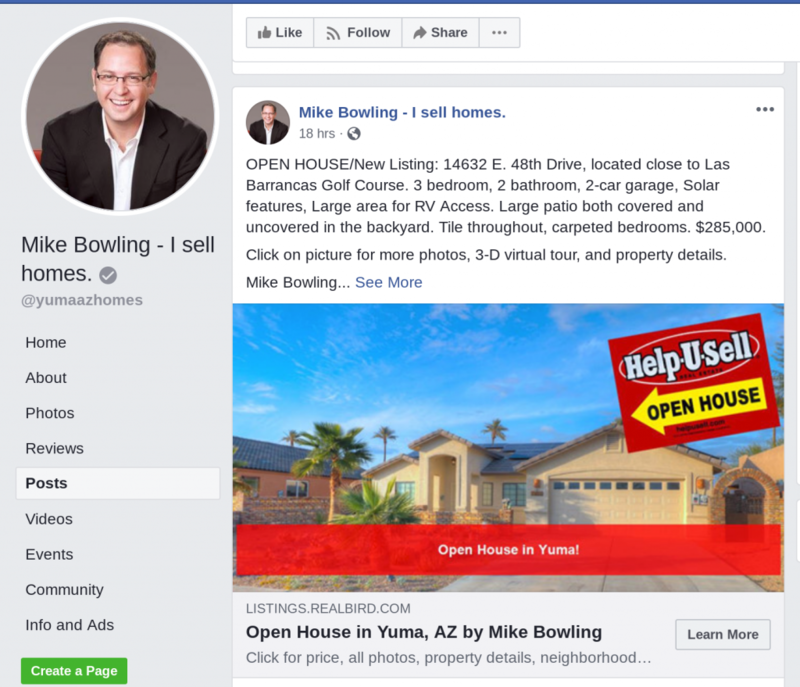 Have your seller post the open house on their Facebook page and ask their friends to share it. They can link to their Zillow or Realtor.com listing in the post. Make a personal invitation to the neighbors. You WANT to meet them, either at the event or on their doorstep prior to it. Plan to walk your flyer/invitation to the 20 closest households. Those homeowners will have real estate questions for you and you may uncover your next neighborhood listing in the process. Use an open house log to gather contact information. Realbird.com has a great one that enables you or your seller to gather information and save it online where you can access it from anywhere. Visitors are more likely to type their information into a tablet or laptop than they are to scribble it out long-hand. There are a lot of other great tools at Realbird and you should check it out! 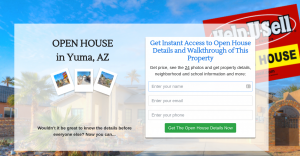 How do you build traffic for your open houses? Leave us a tip in the comment section below. This is a RealBird landing page. Ken Hazelet in Pine Grove, CA introduced me to RealBird.com a year ago and if you haven’t explored it yet, you should! 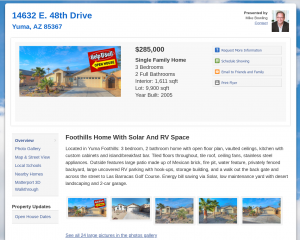 For something like $200 a year, every listing you take gets a single property website, a landing page like this, help with social media posting and more. All of this happened almost instantly. Within a minute or two, I’d had five responses to my completion of the Lead Capture form – each one a little more personal than the one before. 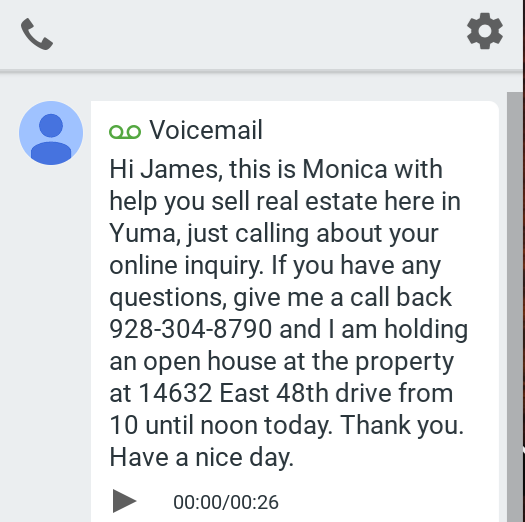 Each part of this process took a little thought and setup but, with the exception of Monica’s personal voice message, it’s all pretty much set-it-and-forget-it. Most important, the response produced an impression of value and professionalism from this team. What could be better? 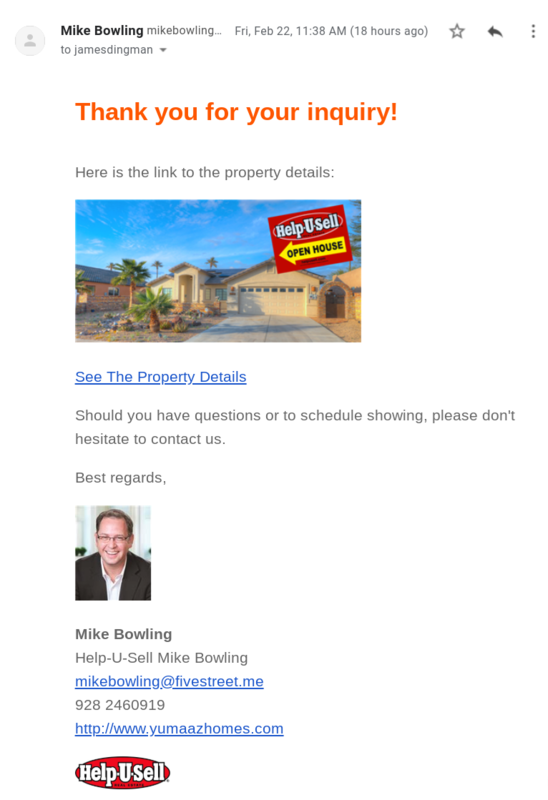 Through the years, I’ve been able to consistently increase a real estate company’s bottom line by tightening up the lead capture, response and tracking process. This is the place where all of your marketing is converted into income opportunities. 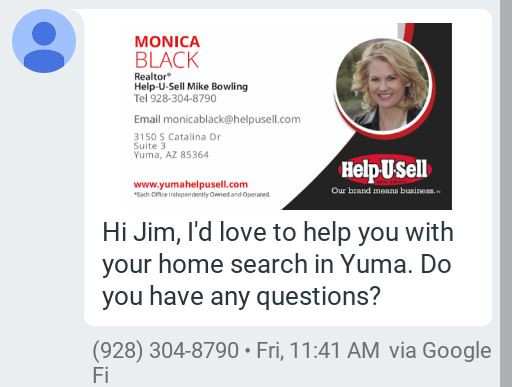 Phone inquiries are easy: it’s just a matter of knowing your business and your inventory, and working on a little scripting (and using the Buyer and Seller Data Sheets). Internet leads present a bigger challenge, but I think Mike Bowling has shown us the most powerful way to respond to them. Thanks, Mike! What does $2.7 million marketing budget buy you in half a year? It buys you a ‘dent,’ I suppose. That’s what Purple Bricks spent during their first 7 months in the US and a lot of people – ok: most of them were Realtors – took note. At Help-U-Sell we are (as always) a little flattered that a ‘new’ competitor tries to mimic something we’ve been doing for more than 40 years: Set Fee Pricing. At the same time we chuckle when it becomes clear that the marketable part of the Set Fee is all that was copied. The spirit behind the fee – the passion for saving consumers tons of money while delivering exceptional service -always seems to be left behind. Set Fee pricing – where everybody in a local market pretty much pays the same thing to sell their houses – makes perfect sense. It is logical; which means that the % nonsense the other guys are doing, whether 6% or 5% or even 1%, makes no sense at all! So, good for Purple Bricks for (kinda) adopting that pricing structure. A little digging on the company website reveals that their Set Fee is mostly smoke and marketing mirrors. You can either pay the Sell Side fee on the sale of your home, after 6 months from appointing us as your Broker or when you withdraw the Property from the market, whichever happens sooner – so you can ‘pay later’ or you can just pay on appointment ‘pay now’. The choice is yours. . . Whichever comes first. In other words, you pay the $3,600 fee* no matter what. Even if your Purple Bricks home selling project sinks like the Titanic, you’re going to pay the fee. The Help-U-Sell Set Fee is payable only at closing. The part that is not so obvious is that buy-side fees are always paid in Purple Bricks transactions. You don’t have the option to find your own buyer and then pay less. It’s not in the verbiage because that’s pretty standard in the industry. To my knowledge, Help-U-Sell Real Estate is the only brand that makes this feature part of our offering. We unbundle commissions so that your Listing Fee (the Set Fee) is paid at closing and if you find your own buyer, say through your network of friends or by holding an open house, that’s all you pay. Buy side fees are only paid when an agent – ours or somebody else’s – brings the buyer. Like I said, it’s logical. Another gem hidden in the fine print of the Purple Bricks website is their complaint procedure. I can’t copy/paste it here because it’s sooo long! Eleven points in all! But you can read it here. I don’t know how many complaints they get, but you have to wonder why a real estate company would publish an elaborate procedure like this on their website. I don’t find a similar page on any other real estate website – so this must be one of Purple Bricks’ unique features! Purple Bricks, like most of the new real estate companies emerging today, is a corporate entity. The people you work with are often employees, empowered to do very specific tasks, usually for very specific fees. Any higher level arrangements or negotiations are handled by someone else, usually faceless and located miles away. 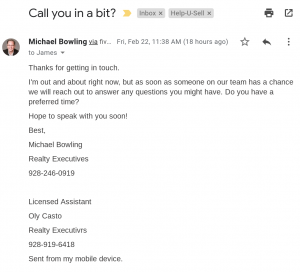 At Purple Bricks, an agent comes to your house and takes your listing (it is rumored that they get paid about $800 for doing that), and then turns you over to their corporate office in New York or Southern California. From that point on, your home selling project is managed by phone and internet. At Help-U-Sell Real Estate, we see things differently. We believe that a transaction involving the biggst financial asset most of us have (our homes), deserves the knowledgable assistance of a trusted advisor: a Help-U-Sell Broker or Agent. Sure, we market the heck out of our listings, online and everywhere else; but we also stay with you every step of the way, answering your questions, advising, negotiating when an offer appears, and managing the transaction from beginning to end. We are not a machine, not some nebulous, faceless entity in the cloud. We are real people who care very much for our business and our customers. We are local and our success depends on how well we take care of our local buyers and sellers. We have a Tag Line at Help-U-Sell: Sell Fast – Save Thousands. I think we should add another imperative to that: Be Delighted. Because, that’s what our home sellers and buyers generally are at closing: Delighted. *Changes seem to be coming fast and swift at Purple Bricks! When they arrived in the US, their listing fee, proudly proclaimed at the top of their website home page, was $3,200. A few months later, it was $3,600. Today, the word ‘From’ has been instered before the fee: ‘From $3,600.’ To determine your fee, you first have to input your Zip Code – so the fee varies by marketplace. In 10001, New York City, for example, it’s $5,900.